Don't let it become one! The effects of a drug-related conviction depend on what drug you are alleged to have possessed. For example, you could be charged with a Misdemeanor for marijuana / pot possession less than 16 oz. or a Felony for such drugs as Methamphetamines (meth, speed, crystal meth), crack, cocaine, heroin, Ecstaty, psilocybin mushrooms (“shrooms”), most prescription drugs, etc. If you are convicted of any of the above, or an attempt to commit any of the above drug-related crimes, your license to drive will be suspended automatically for a period of 6 months, regardless of whether you were in or near a motor vehicle at the time of your arrest. Additionally, under Utah law, there is no provision for a limited or restricted driver license that will allow you to drive to work or school during the suspension period. If you are caught driving during your suspension period, you will be charged with Driving on Suspension While Drug or Alcohol Revoked, which is a Class B Misdemeanor punishable by up to 180 days in jail and a $1,850.00 fine. And if you are convicted, your driver license will be suspended for an additional 6 months for the first offense and an additional one year for each subsequent offense. In addition to the suspension of your driver license, a drug-related charge can have several other severe effects. 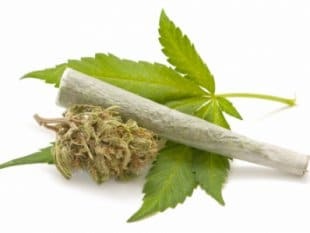 For those who are not U.S. citizens, a conviction for an offense other than simple possession of marijuana can result in ineligibility for citizenship or even deportation. A conviction for a drug-related offense can result in a loss of your professional license. Drug-related convictions can also make a person ineligible for certain forms of government aid, including financial aid for higher education. If you are convicted of an offense involving a Felony or class A Misdemeanor, you will be required to give a DNA sample that will be placed in a law enforcement database for the rest of your life. Drug-related convictions also carry a significant public stigma and may cause problems when seeking employment. 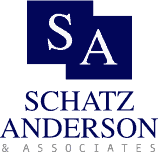 A conviction can also be avoided by negotiating a Plea in Abeyance to the charges. Pursuant to a Plea in Abeyance Agreement, your “guilty” or “no contest” plea may be held in abeyance, meaning that the conviction is not entered but rather you are placed on a form of probation under certain terms and conditions. If you successfully comply with the terms and conditions of the Plea in Abeyance Agreement, your charges can be reduced or even dismissed. However, if you fail to comply with the terms and conditions of the Plea in Abeyance Agreement, your conviction can be entered, and you will then be sentenced by the court. Additionally, many justice courts and district courts have established formal Domestic Violence Programs that may also make you eligible for a Plea in Abeyance. Most Plea in Abeyance Agreements in Domestic Violence cases include requirements for anger management or Domestic Violence counseling, community service, payment of fines and fees, and possibly substance abuse counseling if the offender was consuming drugs or alcohol at the time of the offense. Not everyone is eligible for Plea in Abeyance, but we can assist in negotiating such an agreement to resolve your case. How Do You Avoid a Drug-Related Conviction? The first is to have the charge dismissed on a Motion to Suppress or at trial. Most drug possession charges are won or lost on the Motion to Suppress the drug evidence seized. A Motion to Suppress is a request made to the court to exclude the use of evidence seized pursuant to the Fourth Amendment to the United States Constitution and Article I, Section 14 of the Utah Constitution, which protects all citizens from illegal searches and seizures. Motions to Suppress can be based on several factors, including Lack of Reasonable Suspicion to Initiate a Traffic Stop, Illegal Detention, Lack of Proper Consent to Search, or an otherwise Illegal Search of your person, vehicle, or residence. Our firm maintains an extensive brief bank containing Motions to Suppress for many different scenarios and fact patterns, and we are constantly looking to expand the arguments for new and differing fact patterns. Under some circumstances a possession charge can be won at trial if it can be shown that you did not have knowledge, ownership interest, or the ability to exercise control over the drugs or paraphernalia that was found. In order to assess the applicability of a Motion to Suppress or other defense to your charge, it is essential to conduct a thorough investigation of the facts and circumstances surrounding your arrest. A conviction can also be avoided by negotiating a Plea in Abeyance to the charges. Pursuant to a Plea in Abeyance Agreement, your “guilty” or “no contest” plea may be held in abeyance, meaning that the conviction is not entered but rather you are placed on a form of probation under certain terms and conditions. If you successfully comply with the terms and conditions of the Plea in Abeyance Agreement, your charges can be reduced or even dismissed. However, if you fail to comply with the terms and conditions of the Plea in Abeyance Agreement, your conviction can be entered, and you will then be sentenced by the court. Additionally, many justice courts and district courts have established formal Drug Court Programs that may also make you eligible for a Plea in Abeyance. Most Drug Court Programs include requirements for drug testing, counseling, community service, and payment of fines and fees. Not everyone is eligible for Drug Court Programs, but we can assist in negotiating your acceptance or arrange similar plea bargains outside the formal Drug Court Program. How Long Does a Drug-Related Conviction Stay on Your Record? 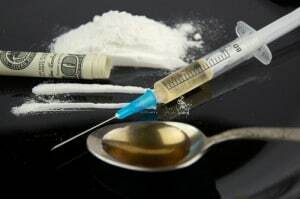 If you are convicted of a misdemeanor drug crime, you cannot apply to have the conviction expunged from your criminal record for at least three years after your probation has been terminated (probation for a misdemeanor drug offense is typically 12 months from the date of sentencing). If you are convicted of a felony drug crime, you cannot apply to have the conviction expunged from your criminal record for at least seven years after your probation has been terminated (probation for a felony drug offense is typically 36 months from the date of sentencing). CALL US NOW AT (801) 746-0447 TO SCHEDULE AN APPOINTMENT! As you can see, there is a great deal of information you need to be made aware of before you choose how to proceed with your case—too much to be covered here. To get more information and to have your case reviewed by one or our attorneys, please contact our office and schedule an appointment for a FREE initial consultation. This will allow us to gather information about you and your case, answer your questions, and discuss your options as to how to handle your case. There is simply no substitute for an aggressive and knowledgeable defense attorney. Although we cannot guarantee a particular result or outcome in any given case, we can guarantee you that we will do everything that we can to give you the best defense possible!